Craig Smith is a South African freelance researcher and avid gamer with significant experience in the online casino and international gambling industry. He has both launched and grown several online casino brands and is an expert on online gambling security. Silversands Online Casino has launched a new slots game called Small Fortune. Now ZAR casino players can make avail of a new offer to try out this new game free of charge. The ever-popular Silversands Casino has just launched a new mobile casino offering in the form of the Enchanted Garden slots. So, what are you waiting for? Try it out and claim your free spins now! SilverSands Online Casino would like to wish all southafricanonlinecasino.org players well over 2016 and the best of luck in their gaming adventures. To kick off the year, Silver Sands Casino is currently offering a promotion which gives the player 50 Free Spins on the new Small Fortune slots. This offer is valid for both South African Rand (ZAR) and Euro players and can be used by both new and existing players, until the 16th of January 2016. Silversands Casino 2016 New Year offer – click above now! Please note that there is a max cash out of 250 ZAR or $25 from this New Year’s promotion. Wagering is set to 30x the amount obtained from the free spins awarded. Are Online Casinos South Africa Legal, or not? Back in 1965, the South African Gambling Act took a strong stand against all forms of gambling. In fact, it outlawed it with the exception of betting on horse racing (that was considered a sports activity). Since then, in the late 70s, land-based casinos started operations in the so-called independent homelands. The most popular of these were Sun City in Bophuthatswana and the Wild Coast Sun in Transkei, although each of the ‘homelands’ had them. Despite the inconvenience to get to these relatively remote locations, these casinos proved extremely popular, and profitable. As with all prohibition-based legislation, there was a slew of illegal casinos already operational in South Africa by the 90s. With the fall of apartheid in 1994, many forms of gambling were legalized and a strict licensing system and standards were put in place to regulate the industry. The National Gambling Act of 1996 gave better defined the gambling space in South Africa, and dictated how some 40 gambling licenses would be distributed between the local provinces. The National Gambling Board, an organization responsible for the oversight of the gambling industry, was also formed. This change gave rise to many legal land-based casinos, however the area of online gambling remained a grey area. After the National Gambling Act of 2004 repealed the previous legislation, further enhancements were made by the state when the The National Gambling Amendment Act of 2008 was introduced. In a landmark case against Swaziland-based Piggs Peak Casino’s online gambling activities in 2011, the Supreme Court in South Africa ruled that online gambling is illegal for South African residents. Despite this ruling, there are still a number of well-established international casino operators openly targeting the South African market, and allowing gambling in South African rands. For more information about these Rand casinos, and a comprehensive online directory, visit the ZAR online casino page on this website. NB: Please note that this is an informational site only. It is expressly against the terms and conditions of this website for South African residents to use these pages for any reason other than gathering information about the local gambling industry. It is the responsibility of the individual to ensure that any online gambling activity that they engage in legal within their jurisdiction. The dire lack of good quality websites about the gambling industry in South Africa inspired us to get together to cover some of the major issues, news and developments in the local gambling industry. Although the team is no longer resident in South Africa, we believe strongly that a regulated casino industry in South Africa will be good for the country. This is not only from a tax-base point of view, but also better controls implies less illegal gambling operations, protected citizens rights and legal recourse. In the meantime, we will continue to track the developments of the South African online casino industry, including those operators that are already offering rand-based gaming, regardless of the current law. 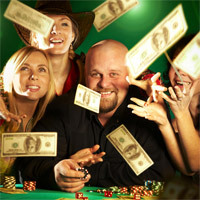 Please use this website as an informational site only, and if you are eligible to gamble in your jurisdiction, then southafricanonlinecasino.org wishes you the best of luck in your gaming endeavors.